15 fantastic shots in the Standing series placed Italy's Petra Zublasing atop of the 50m Rifle 3 Positions Women podium, with an unmatchable advantage of 4.8 points on Serbia's Arsovic, today's Silver medallist. “Each and every competition from now on is a training for the next Olympics”. Day 3 of the 2013 ISSF Rifle and Pistol World Cup Final in Munich kicked off with the 50m Rifle 3 Positions Women final. The thrilling elimination-style final round turned into a tough duel for the brightest medal between two of the top-ranked athletes in the world in this event, Italy's Petra Zublasing and Serbia's Andrea Arsovic, who fought neck and neck throughout the three positions. A duel eventually won by 24-year old Italian athlete, who build her victory starting from the Prone series, when she moved atop of the scoreboard with a few tenths of advantage on her followers. But it was the Standing position that pushed her atop of the podium: firing 15 fantastic shots, the Italian athlete build a solid lead of 4.8 points on Serbia's Arsovic, finishing in first place with a total score of 462.7 points. 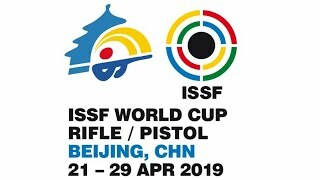 “I am super-happy of this Cup, and winning it also means that I will participate in next year's ISSF World Cup Final too, as a title defender!” Zublasing said. “I am really satisfied of my standing position. I have changed it three weeks ago, and today I have found it quite solid.” The Italian shooter said, analyzing her final round. Zublasing turned out to be unreachable for her opponents. If the Kneeling and Prone series witnessed a close head and head fight between the two athletes atop of the scoreboard, Andrea Arosivic could not stand Zublasing's hammering scores in the Standing position. The 26-year old Serbian athlete arrived here in Munich as one of the favorites, after winning two ISSF World Cup Stages this year, in Fort Benning, GA, USA, and Changwon, Korea. Ranked 4th in the world in this event, the expert shooter closed the kneeling series atop of the scoreboard. After the Prone series, Arsovic already ranked in second, 0.5 points behind Italy's Petra Zublasing. Eventually, she closed the Standing series in second place, with a total score of 457.9 points, 4.8 points behind Zublasing. But if 4.8 points divided the two athletes at the end of the competition, something joined them during the competition: a quick changeover. 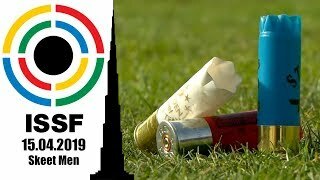 As for the new ISSF rules for the 3 positions event, the changeover time became a crucial issue of the final: the faster you can get in position, the more time you get for sigh shooting. Italy's Zublasing and Serbia's Arsovic turned out to be the fastest shooters in getting their positions set between the three positions, and they both finished on the podium. The Chinese team placed an athlete upon each Rifle podium, so far, at the ISSF World Cup Final in Munich. Today's 50m Rifle Positions Women Bronze medal went indeed to Wu Liuxi, 28, who had already won a Bronze at yesterday's 10m Air Rifle Women event. The Chinese athlete shot consistently throughout the three positions, placing in third with 446.4 points. After the Kneeling and Prone positions, and following the first two series of the Standing positions (5 shots per series), the match turns into an elimination-style final: the shooters with the lowest score have to leave the firing line, one after the other. London 2012 Olympic Bronze medallist Czech Republic Adela Sykora and this year's Junior European Champion Mailin Westerheim of Norway were the first to leave the match, with 401.9 and 404.0 points, respectively. 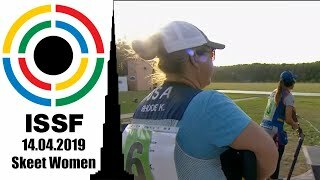 The London 2012 Olympic Champion Jamie Lynn (Beyerle) Gray (USA) followed them after the 11 Standing shot with 413.6 points taking the sixth place, France's Laurence Brize, 37, placed in fifth with 424.5 points, leaving the elimination-style medal match after the 12 Standing shot. India's Lajja Gauswami, 25, placed in fourth with 435.5 points, leaving the match right after the 13th Standing shot.